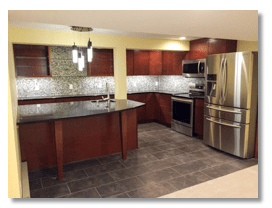 Looking for basement remodeling in Brookfield, Pewaukee, Sussex, Delafield, or Waukesha? Look no further! 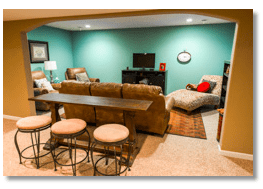 Read more about our basement remodeling services below, or view our portfolio to see some of our basement remodeling projects! The most overlooked room in the home is often the basement. Many people don’t even consider a basement makeover when they plan to add space to their home. We realize your unfinished basement has the potential to be whatever you need. If you’re looking to remodel or add onto your home, consider revisiting the basement. Because most basements are below ground, they have very few windows. This creates the perfect environment for a nice cozy family room, a basement bar, a home theater, or even a nice bedroom. The basement usually makes the perfect extra bedroom, home office, craft room, or play room. It could even be transformed into a wine cellar! You can also use your basement space to add another bathroom to your home. This is especially helpful if your basement is used as an entertainment area, or as a living space with a bedroom. GMH can install a partial or full bathroom in your basement with a design of your choice! As Waukesha County’s premier remodeling contractor, our goal is to make your basement remodeling project as painless as possible. We ask that you give us the details, and be as specific as possible. You will be included in every decision we make during the remodel process so there are no surprises at the conclusion of the project. We look forward to the opportunity to work with you. Call us today to schedule an in-home consultation. 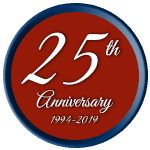 We are located in Pewaukee and have remodeled many basements in Brookfield, Pewaukee, Sussex, Delafield, or Waukesha.